At about 25 cents a serving and chock-full of beta-carotene, fibre-filled carrots are always one of the best healthy buys in the grocery store so let’s see how we can make that veggie work harder for us all. Your days of wondering what else can I do with carrots are over. And I’ve got a clever storage tip to prevent your carrots from tasting bitter. Raw or cooked you can’t go wrong. Cooking does help to release about 20% more beta-carotene (which we turn into vitamin A) and when paired with some fat (oil, dip, dressing or cheese) you’ll absorb more too. Store carrots away from these foods to avoid bitter off-flavours. 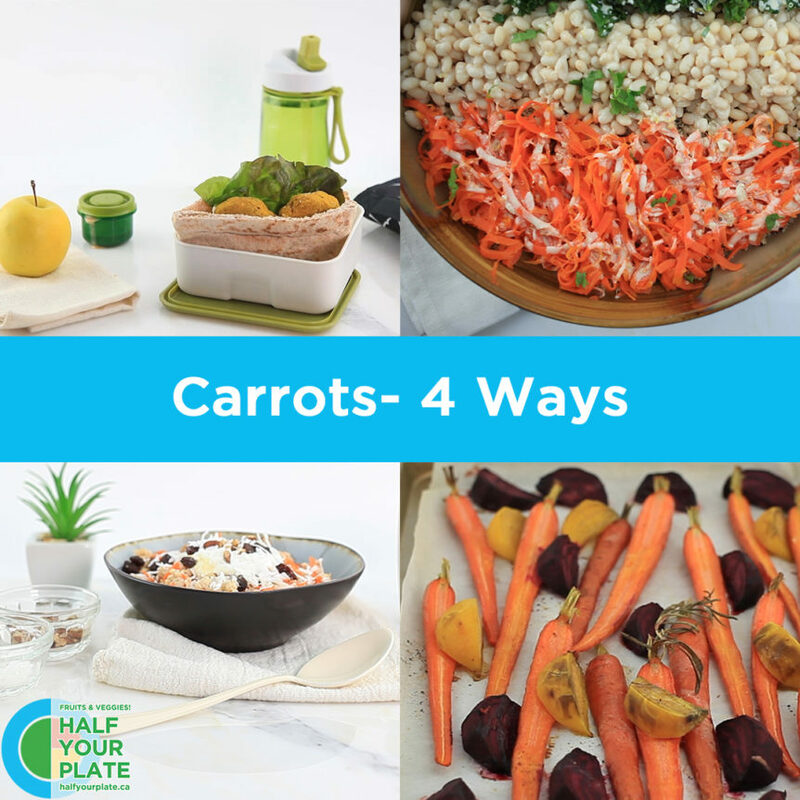 Keep carrots separate from apples, avocados and pears. Stored in the original packaging, raw whole carrots will keep for 3-4 weeks in the crisper. If needed, you can revive (somewhat) wilted carrots. Put them in a bowl of ice water. 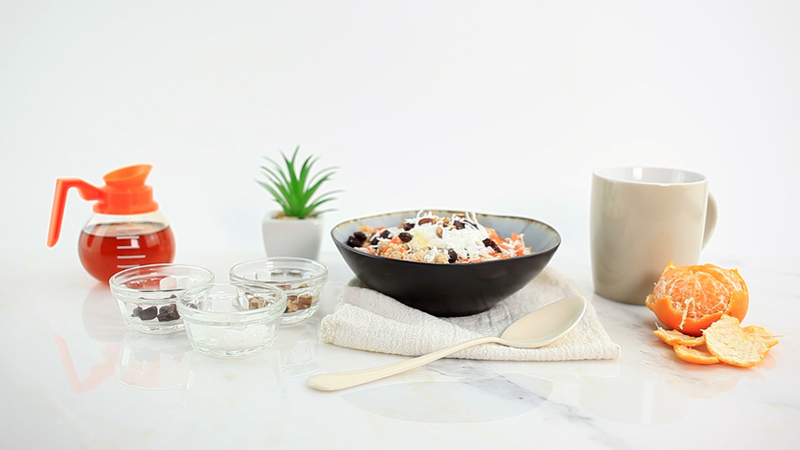 Take your oatmeal from so so good to OMG awesome (and get some veggies in at breakfast too)! Check out the mason jar breakfast to go option. Somewhere between a falafel and a veggie burger, these budget-wise and tasty patties go great in a pita or in a Buddha bowl. Make ahead and freeze to have at the ready for lunches. Here’s how you pack four superfoods into one amazing dish. 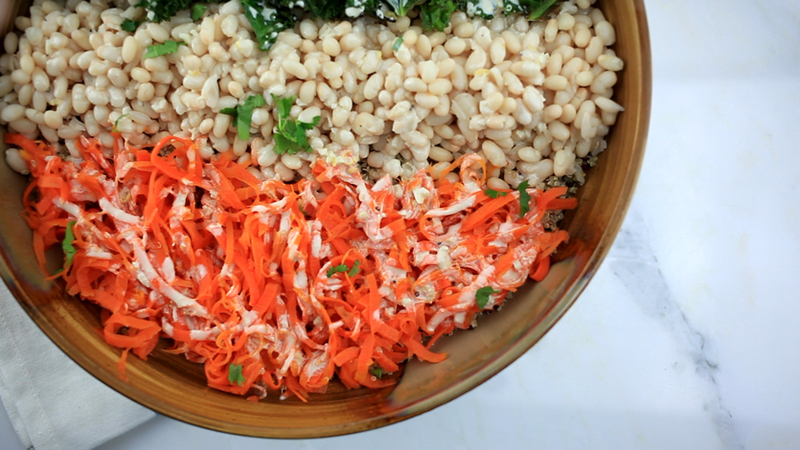 Slightly charred kale and sweet roasted carrots are added to beans and quinoa all topped with a lemon-tahini dressing. Take your roasted veggies up a notch. 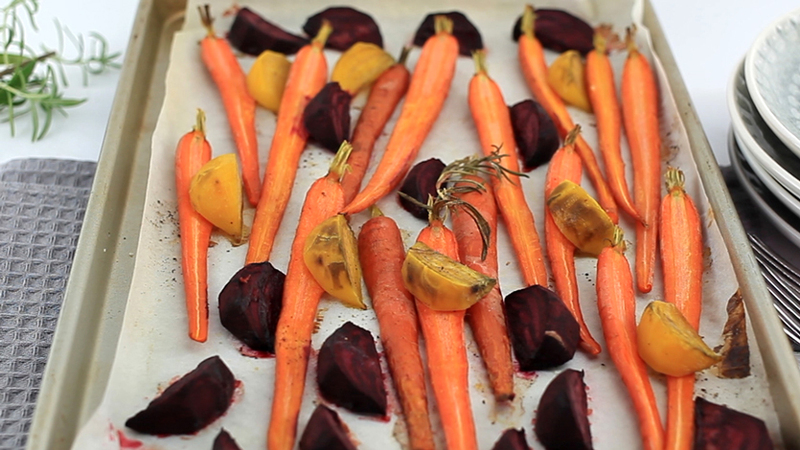 Toss some crumbled feta and a drizzle of vinaigrette over these roasted carrots and beets. I mean really, talk about yum! 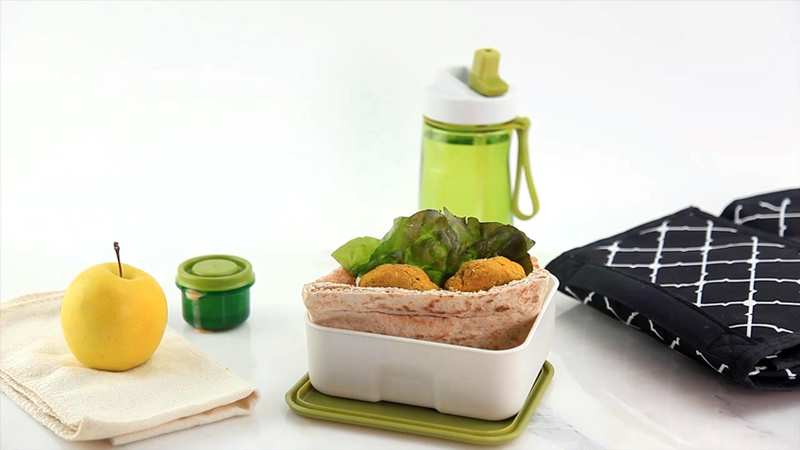 Check out the ideas for using leftovers for lunches too. I sure hope I’ve sparked a new idea for enjoying carrots. Kindly share your fave idea here too.